UFO landed in front of former U.S. President Eisenhower and other officials at Holloman Air force Base Shortly after the US Air Force became a separate branch of the service, Alamogordo Air Base became Holloman AFB in honour of Colonel George V. Holloman, a pioneer in Air Force research and development." The old Alamogordo airfield had been a training base for heavy bombers. Then, U.S. President Dwight Eisenhower was landing at Holloman. It was a smooth landing as landings go. The big Lockheed Constellation in passenger service in those days carried over 125 passengers, but there were fewer than twenty aides and secret service men in the main cabin with the crew of fourteen each at his station. At about 7,000 feet into the landing, Major Bill Draper, the pilot, started reversing the engines, and the plane slowed measurably and taxied to the end of the runway. Air Force One taxied back up the runway about 75 yards and stopped. All engines were shut down. There were probably 300 people with a vantage point, who saw Air Force One land, and as it did, they called others to other windows, work stations and vantage points. It must have seemed very eerie for the president's plane to be seen sitting out there almost a half mile away, alone and quiet. No red carpet, no band, no honour parade, just a few horned meadowlarks calling in the distance. Eventually, the base workers returned to their stations. And always the question was asked: Is Ike here? What's going on? The civilians and military on the base had been told that while the president was here, this would be a "business as usual" day. A few minutes earlier, Col. Sharp, the base commander, and several officers had gone to the base operations tower to see the president's plane land. The first communication they heard about 8:10 was "HOLLOMAN TOWER, THIS IS AIR FORCE 7885 TEN MILES EAST OF MARYHILL." They requested landing instructions, other traffic in the area, and base wind direction. The runway they were assigned was the farthest away from the hangars and workshops. It was obvious to base personnel that what was happening or going to happen was as far away as it could be. Little could be seen unless one had a vantage point and binoculars. Phones all over the base were very busy, many questions were asked, is he still out on the runway? But about ten minutes after the plane landed the radar officers gave instructions to shut off all radar. He had turned base operations over to his deputy base commander as long as the President was here. He felt it his duty to be with him with no distractions. There were a dozen visual patrols out around the base and some of the up-range small radars were on. A phone rang in the tower with a report of two unidentified objects passing over Range Road 12. Then a minute later the bogies were over Range Road 7 only a few minutes from the runways. Men in the tower swung their glasses to the north in the morning haze. Then something glinted in the sun, then something else just below it. A report came in of a third bogie five minutes behind the first two. The tower personnel who did not know what these were, were stunned. No tail, no wings, no motors. Just round objects approaching the president's plane sitting alone on the far runway with a covey of base officers in the tower, including Col. Sharp. They knew something big was up. They reported the objects, logged them and did their job which was "business as usual." 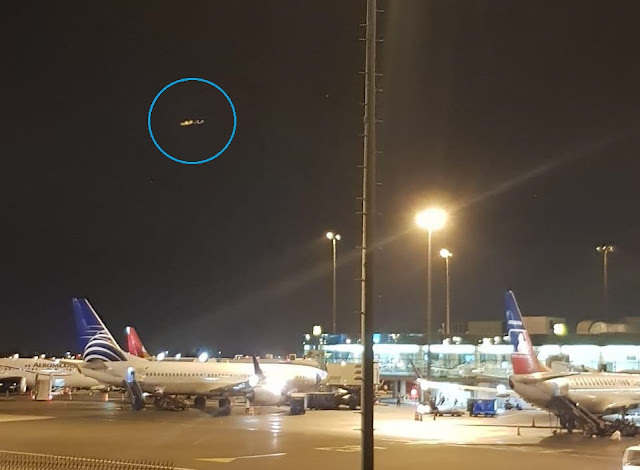 The two objects stopped about 300 feet over Air Force One, and one descended on the far side of the plane and gently touched about 200 feet ahead of the plane. The other hovered briefly and then came across the near runway towards the big hangars and some shop buildings. It took up a position somewhere above the buildings over the tarmac. The disc had a good vantage point of anything that might come towards the president's plane and the disc on the ground. 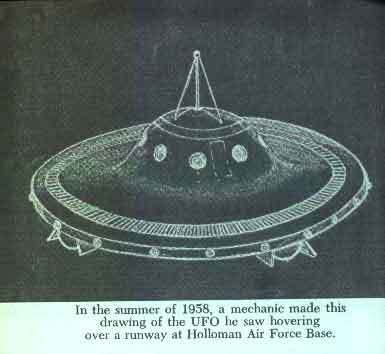 It was with some disbelief that two UFOs had come to Holloman AFB in February of 1955. There was little background for believing in them at all as extraterrestrial. Some who saw or heard about the two craft at the base that day thought they might be new Russian or German innovations. 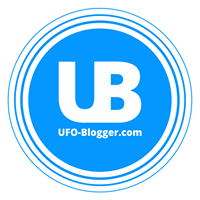 Soon after the UFO landed in front of Air Force One, a man many assumed to be the President, came to the doorway of the plane, descended the portable stairs and approached the saucer on the ground. Some sort of a hatch had been opened a few minutes before and had folded down to become a small ramp. The man walked up the ramp, stood briefly at the opening, shook hands with someone, and went inside. Observers thought the period of time to be about 45 minutes. When he emerged from the craft, he walked towards Air Force One. Part of this time he was facing the observers, and most were sure it was Ike. He wore no hat, and many recognized the hairline and his erect military walk.